First 4 photos are definitely true. 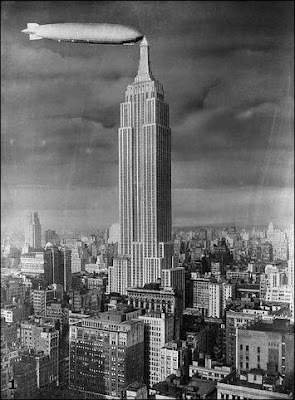 I am not sure about the last one (some say it is Graf Zeppelin), however observation tower at the top of the ESB was originally designed to work as a dock for zeppelins, there were few attempts but eventually they stopped it because of strong winds. 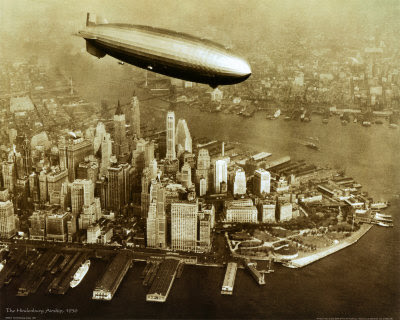 The first five are real photographs taken, although it looks as though the swastikas on the Hindenburg have been erased. 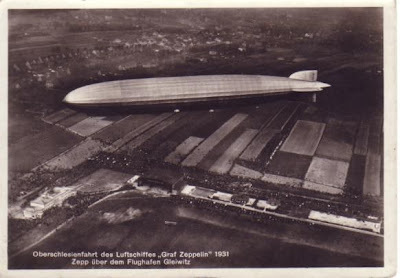 The last picture is a composite of the Graf Zep. with the ESB. It looks somewhat real, but was a promotional picture for the proposed mooring tower. It makes sense to wipe the swastikas from the Hindenburg. Dr. Hugo Eckener hated the Nazis. 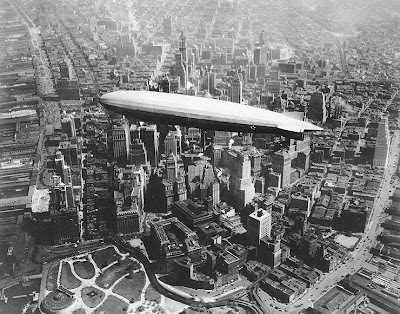 blamed them for the fate of commercial airship travel (it was supposed to be full of helium, but the nazis prevented him from buying it from America). The last pic is doctored. There was one very brief docking with a smaller airship. But it was not successful. they wouldnt have risked it with a big one. 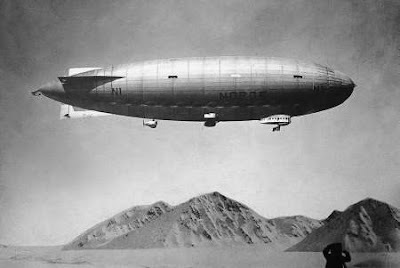 Never docked an airship/zeppelin, an attempt was made with a 'test' blimp, but as stated before, winds were found to be too tricky plus airships often need to dump ballast water... Messy, and perhaps dangerous for the people on the sidewalk below!